In popular imagination, saints exhibit the best characteristics of humanity, universally recognizable but condensed and embodied in an individual. Recent scholarship has asked an array of questions concerning the historical and social contexts of sainthood, and opened new approaches to its study. What happens when the category of sainthood is interrogated and inflected by the problematic category of race? 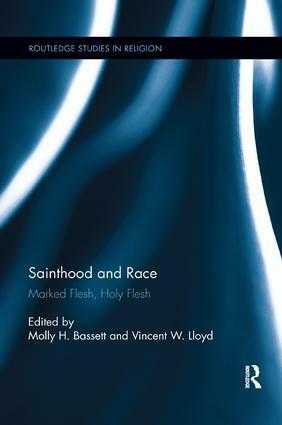 Sainthood and Race: Marked Flesh, Holy Flesh explores this complicated relationship by examining two distinct characteristics of the saint’s body: the historicized, marked flesh and the universal, holy flesh. The essays in this volume comment on this tension between particularity and universality by combining both theoretical and ethnographic studies of saints and race across a wide range of subjects within the humanities. Additionally, the book’s group of emerging and established religion scholars enhances this discussion of sainthood and race by integrating topics such as gender, community, and colonialism across a variety of historical, geographical, and religious contexts. This volume raises provocative questions for scholars and students interested in the intersection of religion and race today.